In September of each year, sorghum-making time comes in southern Illinois. Perhaps it would be better to say it once came, for sorghum-making has diminished almost to the vanishing point. Once there were many molasses mills in Egypt, and almost every farmstead had its patch of sorghum intended to provide the major source of winter sweets. Now the mills and cane patches alike are scarce. Boys wandering over the countryside can no longer pause to gather a stalk of cane, peel it, and chew the sugary juice from the pulp. Neither can they visit the sorghum mill and scrape the candied molasses from the sides of the pan with small wooden paddles and eat it. Some older persons with lingering memories colored by youthful appetites will recall such occasions with pleasure. 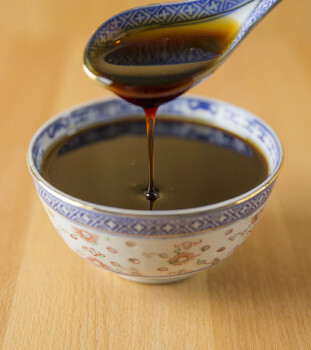 Some who remember sorghum mills and fresh sorghum compare it with maple syrup for use on hot buttered pancakes or flapjacks. If, however, one is forced to eat hot biscuits, the kind that mother made, many insist that sorghum stands supreme. Sorghum once was a staple crop. Old time one-horse grain drills were equipped with special plates for drilling the seed. At that same time, Sear’s catalogue offered large steel rollers to crush the cane and pans in which to boil juice. In fact, one could order a complete mill from Sears. Harvest-time cane patches were attractive. The leaves took on a tinge of yellow, and the stalks became blotched with a golden bloom like that seen on some ripened fruits. Large seed clusters nodded from the tops of the stalks. Stripping and harvesting cane was not an easy task, but boys did not seem to mind. It gave them opportunity to design and make their own strippers — swordlike wooden implements about three feet long and often notched along the working edge. Occasionally one of these strippers is yet found tucked on a rafter of some old shed or barn. After the leaves were stripped from the stalks, the seed cluster at their top was clipped off with a corn knife and saved to feed chickens. The cane was then cut and gathered into small, carefully ordered piles and hauled to the mill. It was necessary to harvest cane before cold weather arrived, for even a light frost, if followed by a shower or heavy dew, would “run down into the cane and ruin it.” If the weather became cold enough to freeze, cane stored in the yard at the mill was likewise ruined. When time came for making molasses and the stalks were crushed between steel rollers, the juice went to the the large evaporating pan placed on a stone or brick foundation, which served as a furnace. This flat shallow pan some four feet wide and having baffles across it often was twenty or more feet long. Juice fed into it at one end and boiling vigorously was skillfully stirred around the baffles toward the other end. The scum that arose was skimmed off and sometimes fed to pigs. Skimmings gathered near the finish ends of the pan were quite sweet and often were used to make California beer — a mild home brew. The refined molasses, by now a rich amber color, was drawn off at the chimney end of the long pan and carefully stored for winter use. The container used was often a wooden barrel made by a local cooper. It was a mark of a good cooper to be able to produce barrels that would hold boiling sorghum. until it “haired.” At this point, some candy-makers stirred in a pinch of baking soda, but too much soda spoiled it. As soon as the hot mixture quit foaming, it was poured into buttered tins or plates. When sufficiently cooled, the candy would be cut into blocks like fudge, or removed from the containers and pulled. If the hands were carefully buttered, the warm candy could easily be pulled into golden-colored taffy, and formed into long twisted rolls that were cut into sticks. In addition to the nourishment that molasses candy provided, its chewing afforded considerable jaw exercise. It also helped to gum up all who handled it. Another popular use of sorghum was for the making of popcorn balls. To do this, a large pan of corn was popped, and boiling sorghum that had been cooked to candy consistence was poured over it. Balls were then molded. When cooled, they were firm and could be carried about, even taken to school in the lunch pail, or occasionally in a boy’s coat pocket wrapped in oiled paper. They were a popular confection. The use of sorghum didn’t end here. Combined with ground black pepper, grated ginger and vinegar, it was made into a cough syrup or cold remedy. Whether effective or not, it certainly was pungent. Also, nothing excelled sorghum as sweetening for gingerbread or ginger cookies. The writer still seriously questions whether real gingerbread can be made without sorghum. The strangest use ever made or sorghum to my knowledge was in the Gallatin County Courthouse at Shawneetown. When time came to paint murals on the walls of the circuit court room, it was necessary that portions of the wall be primed or sized before the artist did his work. Sorghum was the primer.